Photovoltaic is a safe, regenerative and sustainable source of energy. The solar modules on your roof, in connection with the inverter, transform sunlight into usable energy. However, solar power doesn't flow all the time, but only when the sun shines. Our smart complete system is designed in such a way that you use the power produced during the day directly in the house and store the excess solar power for use during the night. In this way you increase the self-consumption and thus reduce your energy costs. The complete system consist of the battery inverter (PIKO BA) the battery (PIKO Battery) and accessories (PIKO BA Sensor and PIKO BA Backup Unit). Your own power, produced and stored throughout the day, enables you to watch television or cook at any time without purchasing extra electricity. Your PIKO BA System regulates the various statuses in the house completely automatically and without a loss of convenience. 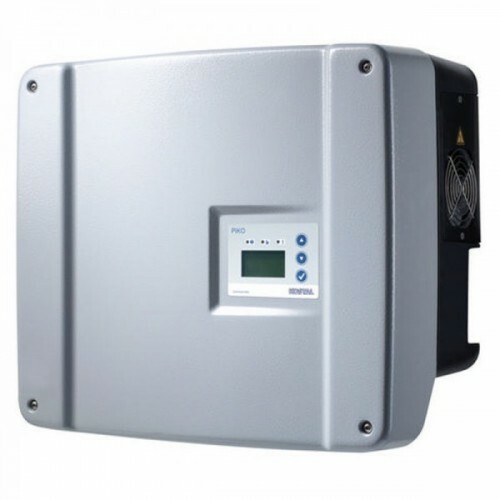 At any time you have a secure power supply under the premise of maximum self-con­sumption of your solar power. Get to know the energy flows in your house in a better way. The two KOSTAL tools PIKO Solar App and PIKO Solar Portal support you. Both show you the power at your disposal and your level of self- and power consumption. In this way, you can simply switch on your household appliances while electricity is being produced. Due to that behavior you increase your self-consumption. With the PIKO BA System you produce and use your own current all around the clock. Therefore you determine your own electricity price for the next 20 years. The PIKO BA System was specially developed for the requirements of single family dwellings. Here, system performances between 4 and 11 kWp are optimal. This applies to both south­facing and east-west systems. The PIKO BA System offers a maximum of flexibility and optimal energy yields. The safety concepts of the two battery systems are of the highest quality.The PIKO BA System Li in particular fully satisfies the stringent safety requir­ments for lithium home storage units and in 2015 won the ees AWARD in recognition of this. KOSTAL thereby profits from the years of experience gathered in the automotive industry in the field of safety-focused sensor technology.